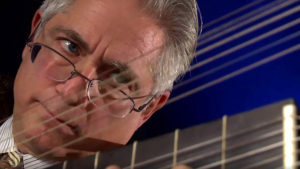 Directed by world-renowned guitarist and lutenist Richard Savino, El Mundo will take listeners on a musical journey from Castilian courts and cathedrals to Spanish-influenced Italian cities like Naples and on to the viceroyalties of Peru, Mexico, and Guatemala, where classical tradition blended with indigenous dances to create a unique Hispanic style that still exists today. “Kingdoms of Castile” will featuring works from El Mundo’s GRAMMY-nominated disc of the same name as well as from their new recording of Music from Guatemala City. The villancico is a specialty of El Mundo and one of music’s most resilient and popular vocal genres, originally developed in the 15th century and evolved through the 17th & 18th centuries to become the dominant vocal genre throughout Spain and Latin America. This same period saw the Spanish colonies of Central and South America blossom into well-springs of cultural sophistication. Latin American cathedrals and courtly life demanded a varied and active musical scene. Often, the indigenous populations were drawn into the arts and participated in their production. The musical result was a style that even in sacred compositions bears the imprint of folk music, a delightful intersection of elegance and simplicity. The use of guitars and percussion, coupled with dance rhythms and the occasional use of native languages, demonstrate a close relationship between European and Indigenous cultures. EL MUNDO is a chamber group dedicated to the performance of sixteenth through nineteenth century Latin American, Spanish and Italian chamber music. Made up of some of the finest period instrument performers, El Mundo combines bowed strings with the rarely heard accompaniment forces of mixed guitars, lutes and percussion in a setting that recreates the distinctive Latin sound of the old and new world. With their flexible instrumentation El Mundo is adaptable to meet the changing needs of this diverse repertory with the appropriate flair and affect. With the addition of the wonderful singers, such as Jennifer Ellis Kampani and Nell Snaidas, El Mundo also performs exciting of cantatas, zarzuelas, romances, villancicos and tonos humanos that range from sublimely sensual to light-hearted and folk-like. Grammy nominated Guitarist/lutenist Richard Savino has been a featured performer throughout the US and abroad. He has been Visiting Artistic Director of the Aston Magna Academy and Music Festival (1993, 1995, 2005, 2009, 2010), the Connecticut Early Music Festival (2002), Ensemble Rebel (2010)and from 1994 – 1997 was Coordinator of Performance Practice at the Monadnock Music Festival in New Hampshire. He is the recipient of a Diapason d’Or (a French Grammy) and in 2010 his collaborative project with Ars Lyrica of Houston also received a Grammy nomination. In 2012 he was personally invited to accompany Grammy award winner Joyce DiDonato in her national Drama Queens tour, which included a sold out performance at Carnegie Hall. In 2013 was invited to perform solo at the first New York Tribute to Andres Segovia concert at the 92 st. Y. From 1987–1998 Mr. Savino has directed the CSU Summer Arts Guitar and Lute Institute and is presently director of Ensemble El Mundo. 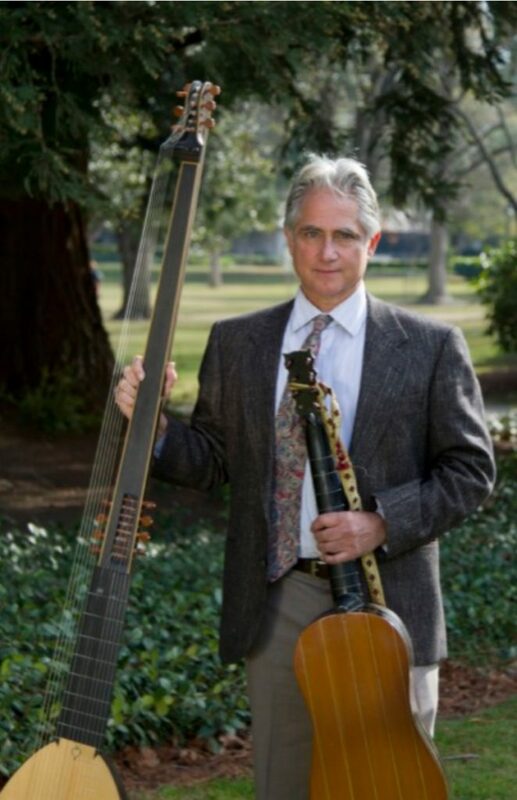 An active opera enthusiast, Mr. Savino has been principal theorbist/lutenist for the Santa Fe, Glimmerglass, San Diego, Dallas, Denver, Central City, Portland, San Francisco and Houston Grand Operas. Early in his career Mr. Savino was chosen twice by Maestro Andres Segovia to perform in master-classes at the Conservatoire de Musique in Geneva, Switzerland, the Metropolitan Museum of Art in New York, and twice at the International Segovia Fellowship Competition sponsored by New York University. In 1985 he became the first solo guitarist to be chosen a winner at the Artists International Carnegie Recital Hall Debut Competition. His extensive discography of over 30 cds as a director, soloist or principal performer on the Harmonia Mundi, Naxos, Koch, Stradivarius and Dorian labels includes the first period instrument versions of Luigi Boccherini’s guitar quintets (3 cd’s), Mauro Giuliani’s Grand Quintetto and Johann Kaspar Mertz’s Bardenklänge, all of which have received great critical acclaim. In addition to receiving a 10 du Rèpertoire (a French Grammy) the Parisian journal has also placed his Boccherini recordings in their “Great Discoveries” category, which they deem as essential to any classical music collection. He has recorded virtuoso sonatas by Paganini and Giuliani with British violinist Monica Huggett (HM), flute and guitar sonatas with renowned flutist Laurel Zucker (Cantelina), solo sonatas by Ferdinando Carulli, an extensive collection of 18th century guitar music from Mexico by Santiago de Murcia (4 Stars: Goldberg), a collection of monody by Barbara Strozzi with soprano Emanuela Galli and Ensemble Gallilei, (9 du Rèpertoire) and music by Biagio Marini with Monica Huggett and Ensemble Galatea. Koch International has also released his recording of the first period instrument versions of the Boccherini Guitar Symphonia, the Op. 30 Concerto for Guitar by Mauro Giuliani with Ms. Huggett and the Portland Baroque Orchestra. Mr. Savino’s cd of Murcia was featured as the Global Hit on thePublic Radio International program The World, and he has also been the subject of a one-hour special on the PRI program Harmonia. His most recent recordings include The Essential Giuliani Vol. 1, ¡Zarzuela; Salir el Amor del Mundo! and The Kingdoms of Castille with El Mundo, and a cd of baroque guitar sonatas by Ludovico Roncalli (1696). Mr. Savino has appeared on the CBS and PBS television networks, has been heard “in recital” on National Public Radio’s Performance Today, Morning Pro Musica, Off The Record, England’s BBC and the CBC’s Music from Montreal and Music from Vancouver programs and has been the subject of a one hour special on the NPR’s Harmonia. He is contributing author to the Cambridge University Press Studies in Performance Practice series, has edited the complete studies and études of Fernando Sor for Editions Chanterelle and a collection of secular monodies by Francesca Caccini for Indiana University Press. In 2008 Mr. Savino participated in a series of concerts and a cd/dvd recording project with the renowned vocal ensemble Chanticleer, which featured music from historic missions throughout California. In 2011 he has performed throughout North America, lectured at Cambridge University, and guest directed Milano Classica. Mr. Savino has studied with Oscar Ghiglia, Eliot Fisk, Albert Fuller, and received his Doctor of Musical Arts degree from SUNY at Stony Brook where he studied under Jerry Willard. He is presently a Collegiate Professor at the San Francisco Conservatory of Music and Professor of Music at the California State University at Sacramento where in 1994 he was the first member of the music faculty to be awarded an Outstanding and Exceptional sabbatical, in 1996 became only the seventh CSUS faculty to receive the prestigious Semester Leave Research Award and in 2001 was granted a Best Sabbatical Award.